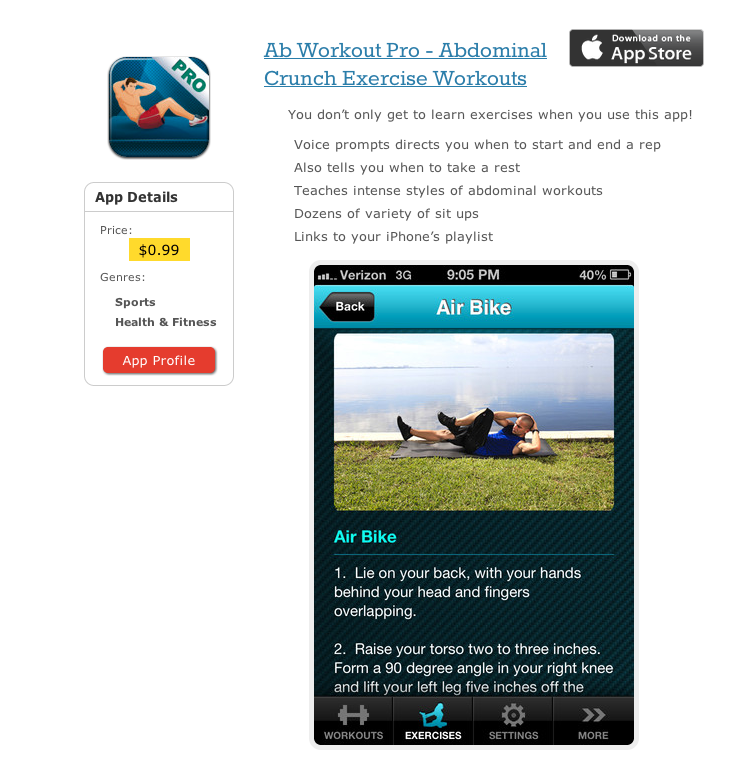 We’ve been selected as one of the best abdominal workout apps on iPhone by AppPicker.com! AppPicker’s mission is to provide a better way to discover IPhone, iPad and Mac apps that are best for you. With hundreds of thousands of apps available, finding the right apps can feel like a daunting and confusing experience. We’ve built tools to help you more effectively navigate the sea of apps in an efficient and enjoyable manner.